Oriole Park at Camden Yards has become one of the most iconic stadiums in all of baseball. While many other MLB stadiums have tried to borrow from its innovative design, the Eutaw Street warehouse is unique to Baltimore. On a hot, summer night, there’s nothing like walking down Eutaw Street at grabbing some of Boog Powell’s famous pit beef, or stopping in the Orioles’ team store. 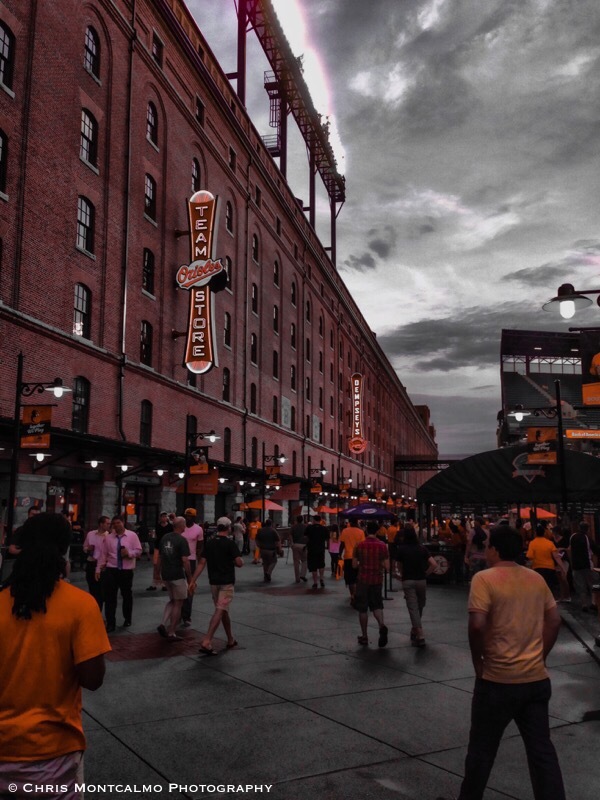 This unique “colorsplash” photograph of Eutaw Street would make a fine gift for any die-hard Orioles fan.